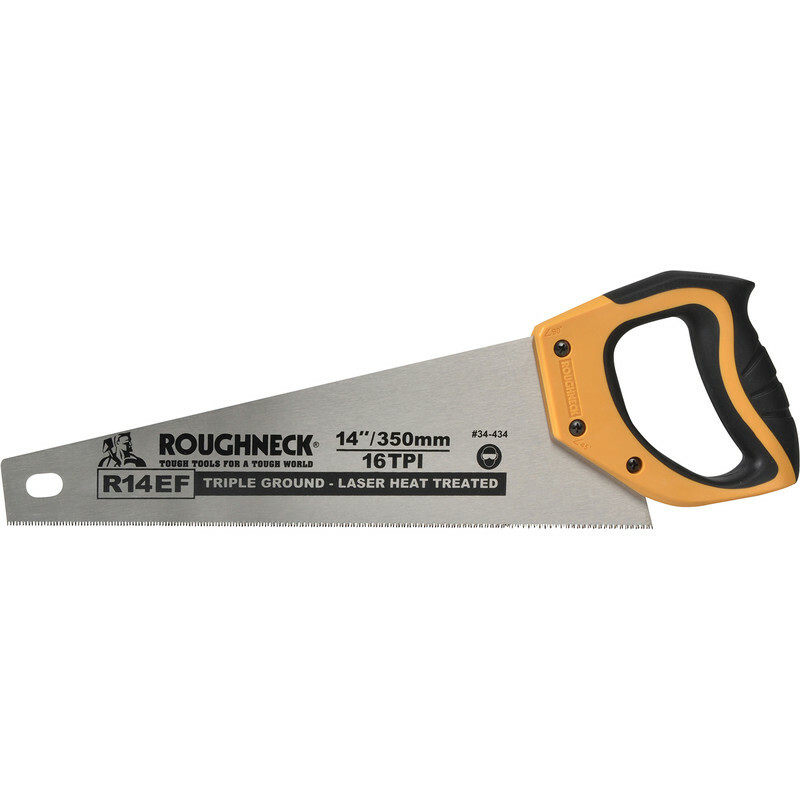 Roughneck Toolbox Saw 14" is rated 3.7 out of 5 by 7. Rated 5 out of 5 by Pappy from small but great I wanted a small saw that would do most cutting jobson wood. This is precisely what I wanted 14inch with a fairly fine cut. I does the job I wanted it for perfectly a great little tool. Rated 5 out of 5 by Catman12 from Brilliant Saw. The saw is small and compact is size, but outstanding in use. Does not take up too much space, is very handy and most of all extremely sharp ! Rated 2 out of 5 by cyrilsnear from not very robust sharp teeth but saw end bent (permanent set) with little use. Recommended thicker/stiffer blade. However, Toolstation exchanged it without issue. good service.